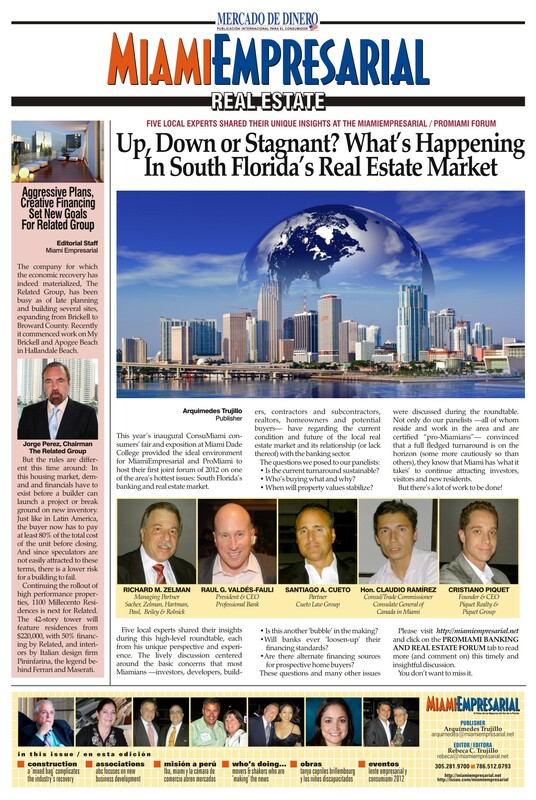 ProMiami Banking and Real Estate Forum – Miami Empresarial Magazine: The Business Pulse of South Florida. Miami Empresarial and ProMiami, An International Business Coalition and a panel of prominent Real Estate attorneys, bankers and promoters at Miami Dade College/Wolfson Campus and conducted an important roundtable to discuss the state and future of Miami’ international real estate industry. • Is the current turnaround sustainable? • Who’s buying what and why? • When will property values stabilize? • Is this another ‘bubble’ in the making? • Are banks ‘loosening-up’ their financing standards? • Are there alternate financing sources for prospective home buyers? Stay tuned for answers to these and many other questions. . .